Forget chips and soda—vending machines are now dispensing everything from baguettes to burritos. 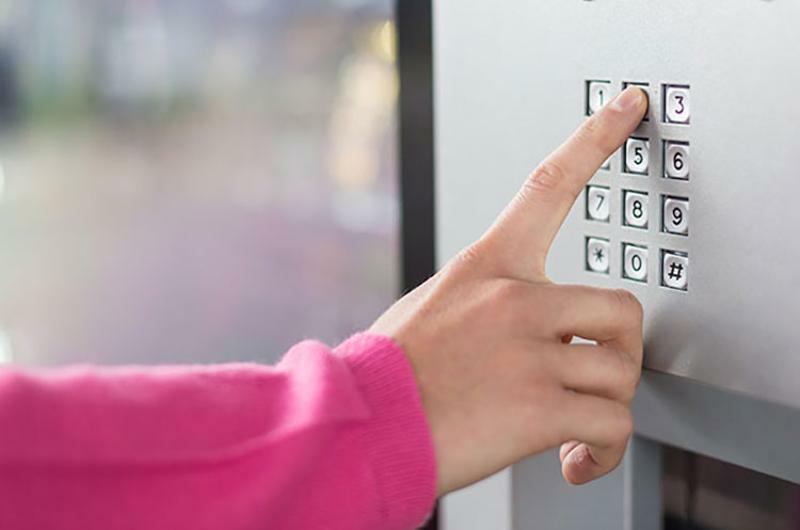 Unlike brick-and-mortar stores, vending machines require minimal manual labor and allow customers to access food at any time of day. They can also be easily installed in a variety of locations due to their compact size. Here are six gourmet vending machines popping up across the country. 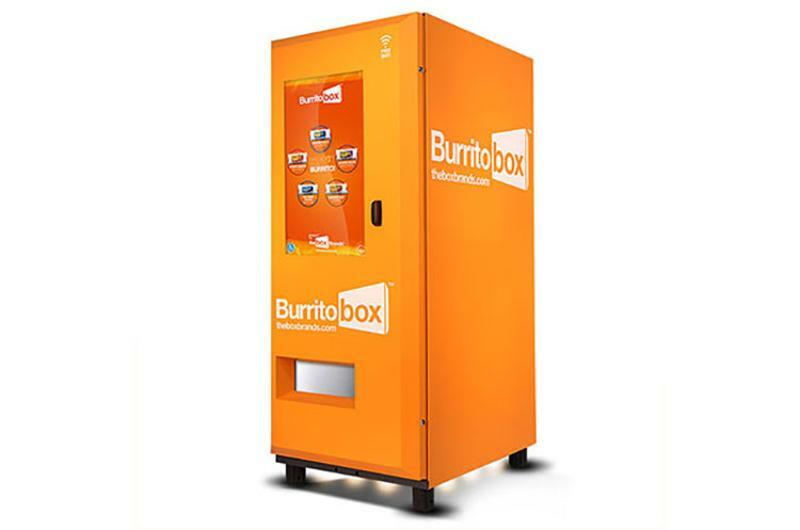 Since debuting at a Los Angeles gas station in 2014, burrito vending machine Burritobox has introduced an improved model and added several locations throughout the country. Each upgraded Burritobox is equipped with live video chat capabilities, a mobile phone charging station and a 42" touchscreen that plays music videos and the like while burritos are being heated. The burritos are handmade in a separate facility and are distributed to the machines daily. Currently, Burritobox offers four burrito types, two of which are breakfast varieties, and several sides including guacamole, sour cream, chips and hot sauce. 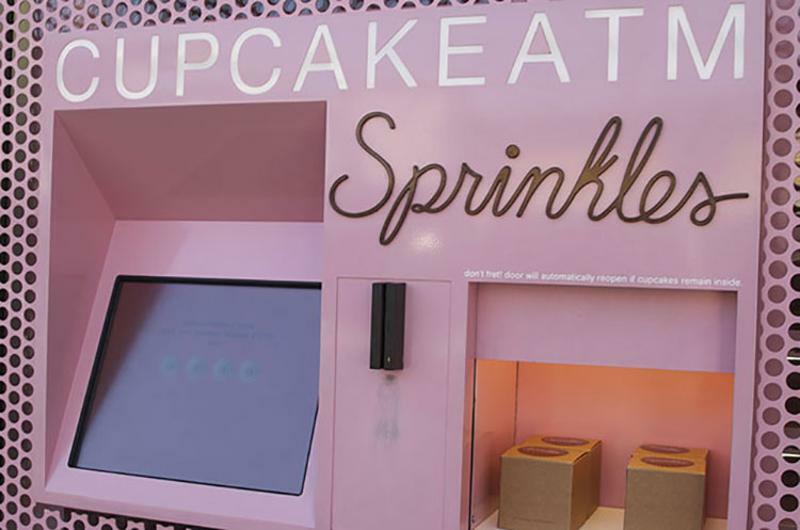 After operating out of traditional brick-and-mortar stores for several years, Sprinkles Cupcakes in 2012 launched a vending machine concept, dubbed the Cupcake ATM, at its Beverly Hills, Calif., unit. The concept was a hit, spurring several more locations throughout the country. The ATMs are filled with fresh cupcakes restocked by Sprinkles staff throughout the day, allowing units to sell cupcakes overnight or until they run out. French concept Le Bread Xpress arrived in the U.S. this summer, opening its first stateside location in San Francisco. Its grab-and-go baguettes are prepped and parbaked by a nearby bakery, then loaded into the machine’s built-in fridge. 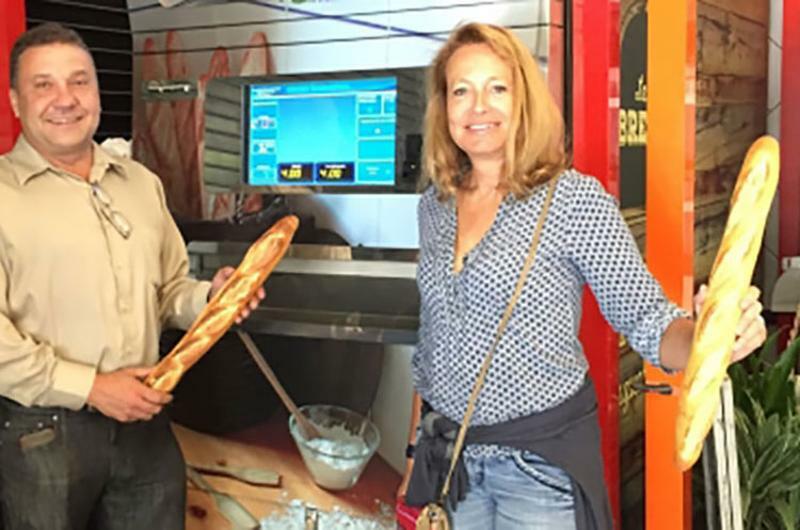 When a customer places an order, the baguette is moved to the machine’s oven, where it finishes cooking and is delivered warm. Taking baristas out of the equation, the robot employed by Austin-based startup Briggo dispenses what it claims is a perfect cup of coffee. After a test run at the University of Texas, Briggo now has a permanent location in a Dell office cafeteria in Round Rock, Texas, with plans to open more locations soon. Customers can either order in person at the kiosk or via an app; those who sign up for a Briggo account are able to save and customize their orders for easy ordering and pickup. 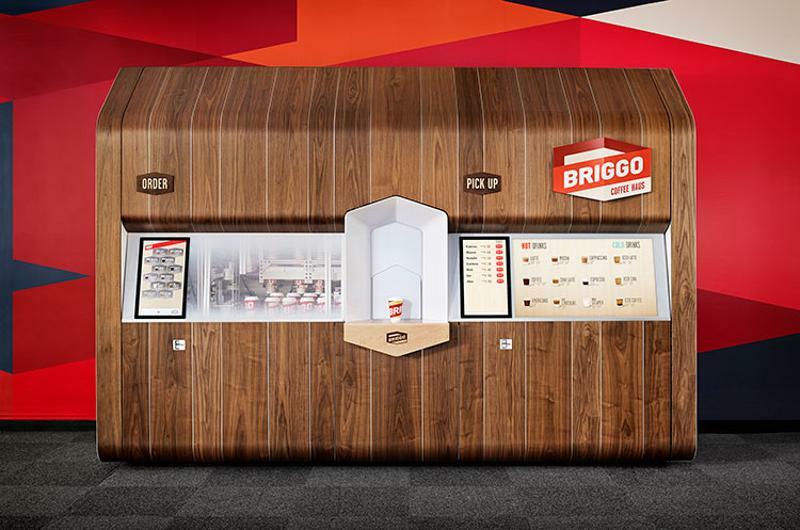 As premium selling points, Briggo only buys direct-trade beans and used Forest Stewardship Council-certified wood to build its kiosk. 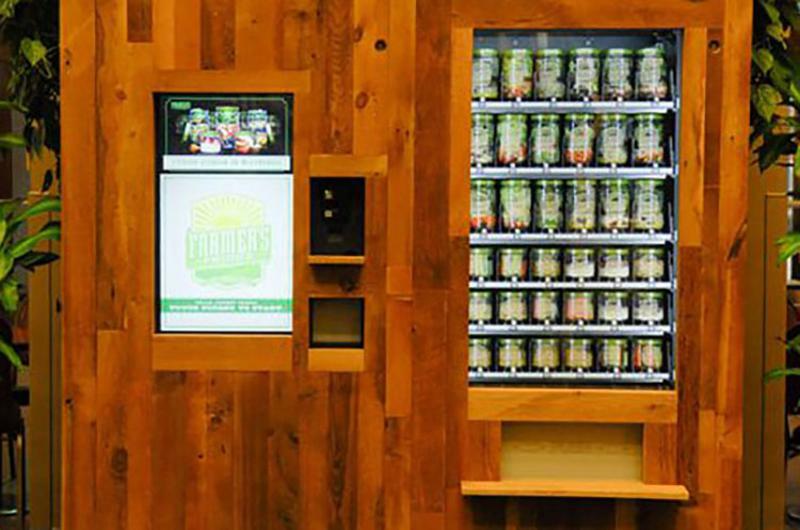 Farmer’s Fridge was created in 2013 as a healthy alternative to traditional vending machine fare, offering a wide range of salads, snacks and breakfast items. All menu items are scratchmade and restocked every weekday, and leftover salads are donated to nearby food pantries. Everything from the machine itself to the jars its products come in is made with organic, recyclable materials. In a reversal of the usual process, the Chicago-based company opened its first brick-and-mortar location earlier this month. 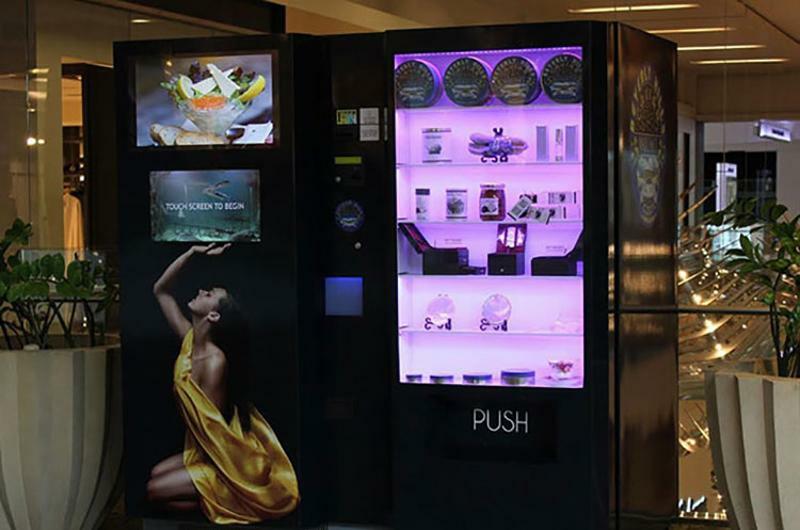 After closing her Beverly Hills, Calif., caviar store in 2010, Kelly Stern, owner of Beverly Hills Caviar, decided to try a caviar vending machine instead. The vending machine, named The Caviar Automated Boutique, offers not only caviar, but also escargot, truffles, bottarga, mother of pearl plates and spoons, gift boxes and gourmet salts. The boutique can be controlled remotely via smartphone if customers run into any problems.